fragment design has again teamed up with Oakley to created a limited edition version of their iconic “Frogskin” sunglasses design, titled the “Buena Vista”. 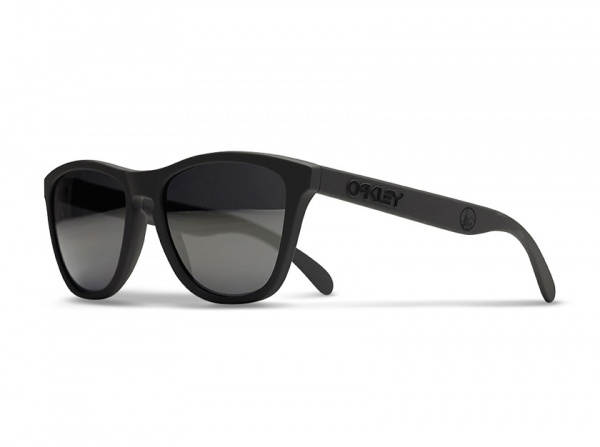 Relatively unadorned, the frame does the talking as it’s rendered in a sleek matte black finish with subtle Oakley branding at the temples and a nod to fragment design near the ears. Available exclusively to the POOl Aoyama starting April 5th. This entry was posted in Sunglasses and tagged Buena Vista, Collaboration, fragment design, Frogskins, Matte Black, Oakley, the Pool Aoyama. Bookmark the permalink.